The focus of the TLM 2018 is safe and dependable transformer operations and optimized service. Learn more about Mobile Processing and a successful case study of transformer maintenance completed at Tata Steel in the several EOS presentations. TLM is a forum for experts, engineers, manufacturers and exhibitors that exchange information necessary for long operation times, high dependability and low maintenance and failure times of transformers. Today, most modern (re)generation options are available to effectively manage insulating oil to enhance transformers’ performance and life. One option is the processing of insulating oil during transformer operation – on-site and without any interruption of service. 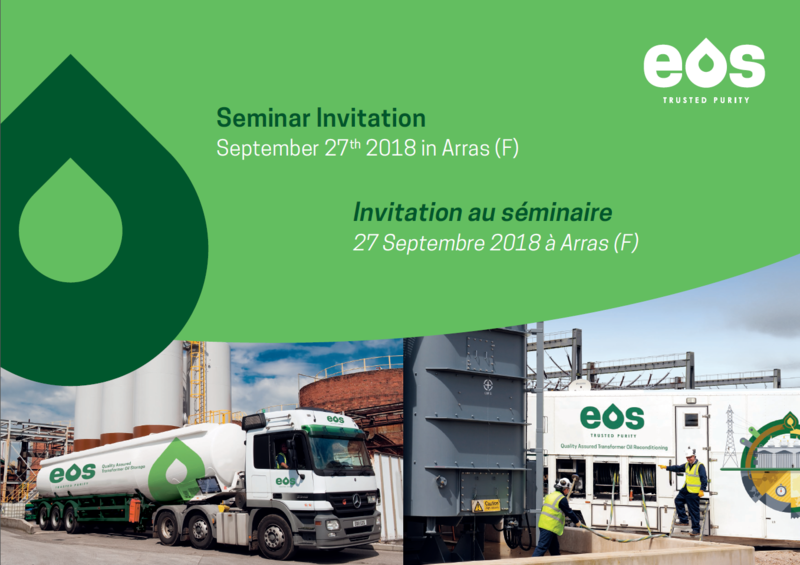 Register today and benefit from deep insights, best practices and round-table discussions with EOS and leading industry partners such as Électricité de France (EDF), Maxei, EA Technology and Transfo Lab. The event includes a site tour at Maxei.